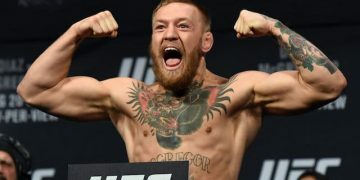 It’s easy for fans and sports bettors to overlook UFC 224 while looking forward toward CM Punk’s redemption fight at UFC 225, the champion vs. champion match-up at UFC 226 or the rumored Georges St-Pierre vs. Nate Diaz bout at UFC 227. Rio de Janeiro, Brazil, is getting an exciting fight card with interesting options for gamblers looking to parlay prelim fights with main-card bouts. The real money on this card will be made by betting on stoppages, decisions or the over-under on rounds; not on digging to find underdogs to drop money on. Let’s start with the card’s main event women’s bantamweight title fight between Amanda Nunes (-1400) and Racquel Pennington (+800). 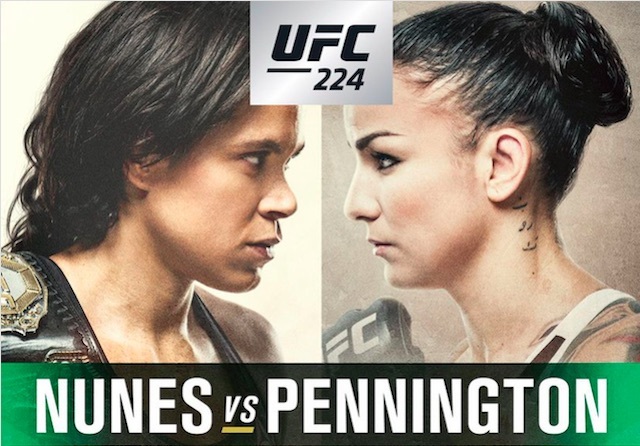 Pennington enters UFC 224 on a four-fight winning streak, with her last loss coming by split decision to former bantamweight champion and current featherweight contender Holly Holm. That run of success may jump off the page to those hoping to bet on a title underdog to upset a champion that still has a lot to prove, but when you dig deeper you find that Pennington’s streak is a bit of a mirage. “Rocky” has only stopped two of her last 10 opponents. Both of those opponents, Jessica Andrade (strawweight) and Ashlee Evans-Smith (flyweight), are now competing in lighter weight classes. Pennington needed a split decision to defeat Bethe Correia, which isn’t a great vote of confidence for those hoping she’ll beat Nunes. Pennington’s most recent wins were against Elizabeth Phillips and a deflated Meisha Tate – both also coming by decision. The cherry on top of this “don’t fall for the underdog story” cautionary tale is the fact that Pennington hasn’t competed since November 2016 and is being thrust into this title fight. The champion Amanda Nunes has been much more impressive in her last 10 fights, which explains why she’s such a heavy favorite. Since the beginning of 2016, Nunes holds two wins over Valentina Shevchenko, a first-round submission of Miesha Tate and Sara McMann, and an absolutely demolishing knockout of Ronda Rousey. In fact, the only people to take Nunes past the first round of a fight was Shevchenko and Cat Zingano, who stopped Nunes with strikes at UFC 178. There is a risk with this bet. Pennington has only been stopped once in her career, coincidentally also at the hands of Cat Zingano. For those with their hearts set on betting the dog, Pennington losing by decision (Nunes by UD at +325) is your best bet because the numbers say that an upset isn’t happening on Saturday night. Speaking of live dogs, the UFC 224 co-main is where creative bets can lead to cashing a hefty ticket. 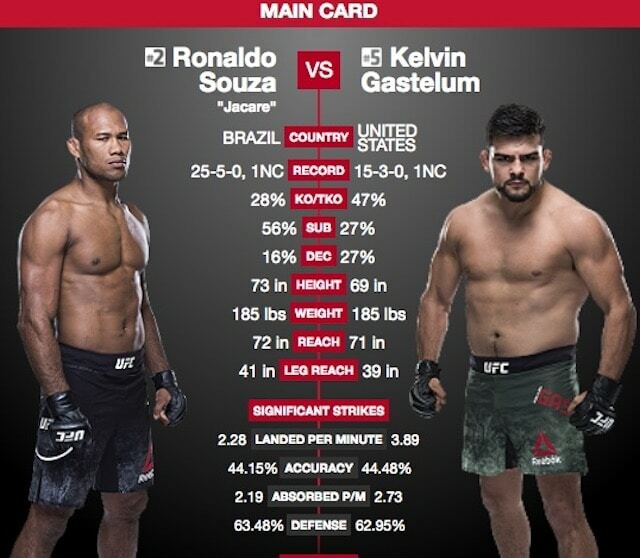 At first glance, the two fighters are relatively even, with the Brazilian Ronaldo “Jacare” Souza being the slight favorite, but placing money on the outcome provides a much more favorable return for bettors. Gastelum is 9-3-1 in his UFC career with his last three fights falling short of the judge’s scorecards. In fact, he hasn’t gone the distance in a three-round fight since his victory over Johny Hendricks at UFC 200. Then there’s Jacare, who’s had only four fights since 2010 go to the scorecards. He’s a technical wizard on the mat and has shown improved striking over his last five fights – yes even in his knockout loss to champion Robert Whittaker. These two fighters’ recent finishing rate says to put your money on a stoppage despite this fight being scheduled for three rounds. Jacare by submission is sitting at +185 and Gastelum by TKO/KO is currently hovering around +200, both worthwhile bets for a fight that stats say shouldn’t end in a decision. The remaining main card fights provide value as well. Mackenzie Dern (-290) is a decent favorite over Amanda Cooper (+235) despite it being only her second UFC fight. Dern showed that she has a long way to go to sure up her striking but this shouldn’t be the matchup to test her ability. Many peg her as the next Ronda Rousey but she has as many decisions, three, as she does submissions in her first six fights. The smart money isn’t on a Cooper upset, so Dern winning by decision at +240 or Dern winning by submission at +135 are enticing parlay picks. In regards to the Lineker fight, he’s a fighter known for his heavy hands but his stoppage rate the past two years doesn’t match that reputation. He’s still an elite fighter but he’s struggled to end fights against tougher competition. His most recent loss, to champion T.J. Dillashaw, was still a decent showing. Kelleher has a lot of wins to his credit as well but his level of competition is nowhere near the level of Lineker. Take Lineker winning by decision at +125. The battle of the Brazilian veterans – Vitor Belfort vs. Lyoto Machida — is a real toss-up. Both men have lost three of their last four fights and are coming off of decision wins that few expected them to nab. This would’ve been an intriguing bet in 2012 but it’s a fight you want to stay away from this weekend. If your heart is set on putting money on it, Machida by TKO/KO at +145 is the way to go. Oleksiy Oliynyk (+125) has had one fight go to the judges since 2012. It’s a tough matchup against Júnior Albini (-145) but he’s a lively underdog and the +335 for him to win by submission is well worth the risk. Looking to lay on another dog? Sean Strickland (+110) is a fighter to consider parlaying. Neither he nor his opponent Elizeu Zaleski dos Santos (-130) have impressive stoppage rates over their last five fights, which means this one will most likely be placed in the judge’s hands. He’s worth a flier on a 3 or 4-play card. Thales Leites (+130) vs. Jack Hermansson (-150) is a fight that veteran Leites desperately needs but he hasn’t shown enough to take him as a dog. Instead, Hermansson’s recent record of not making it past midway of the 2nd round says one of these guys will end it early. Don’t be scared to take either fighter on a TKO/KO pick. What Happens if New Jersey Loses the Supreme Court Sports Betting Case? What If One League Wants Sports Betting When Other Leagues Do Not?